When you are longing to not just walk in a winter wonderland but do something more strenuous, you have a variety of fun activities to select in the area around the Alpine Lodge! These fun things to do in winter in the Adirondacks allow you to enjoy the beauty of the great outdoors while getting some exercise. What could be better than that? 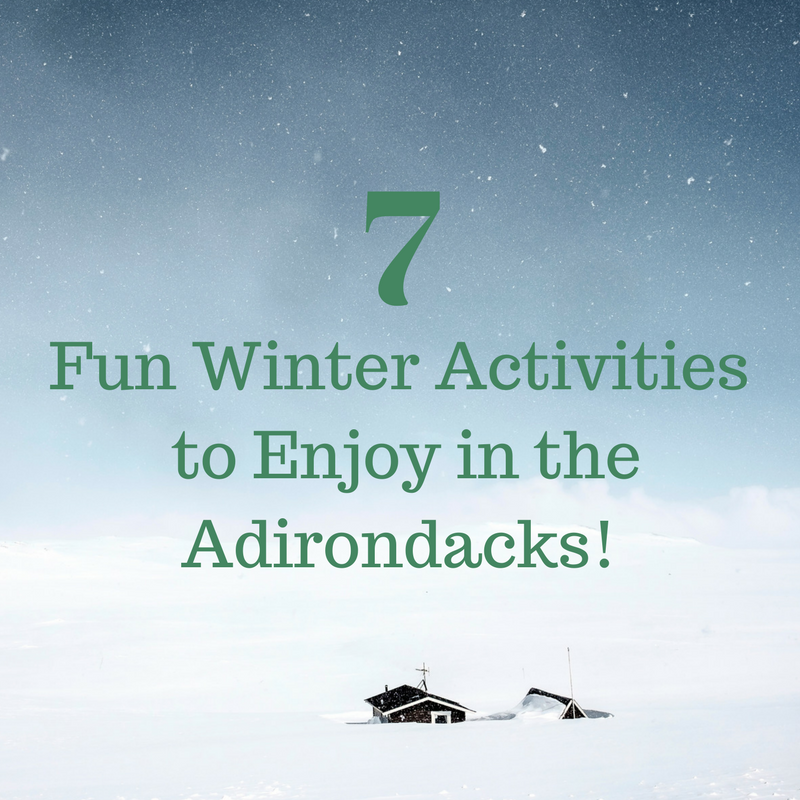 Below are 7 fun winter activities to enjoy near The Alpine Lodge in the Adirondacks! When you’re eager for some cross country skiing in the Adirondacks, choices abound near our conveniently located lodge. There’s Gore Mountain ski center, Garnet Hill, Cunningham’s Ski Barn, the Warrensburg Trails, and the Caroline Fish Trail System in Chestertown. There are also tours guided by locals who take you into “secret” terrain for a truly memorable adventure. There’s a reason why Olympians like Lindsey Vonn love downhill skiing so much. It’s action-packed, challenging, and exciting. 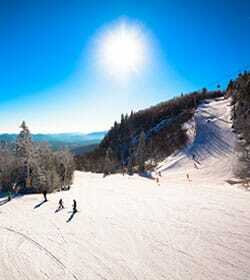 Near our lodge, try out Gore Mountain ski center or Hickory Hill in Warrensburg. Day and night skiing options are available. For some high-speed fun, add snowmobiling to your list of “must do” Adirondack winter activities. You have a few nearby choices: Gore Mountain, or C&C Adirondack Snowmobile Tours, which takes you over frozen Loon Lake, or a ride through the spectacular Adirondack woods. Ready to snowshoe in North Creek NY? You’ve come to the right place. Check out Gore Mountain, Garnet Hill, or Natural Stone Bridge Park and get a rigorous workout that is slow enough in pace to allow you to “stop and smell the roses” (savor the beautiful snowy scenery). Near our lodge in the Adirondacks, you can enjoy an activity that might be a bit different to you. It’s tubing, and The Ski Bowl is the perfect place to test it out. Glide down a hill on a donut-shaped apparatus, laughing in an exhilarating journey all the way. You don’t have to jump and twirl like Peggy Fleming or Scott Hamilton to enjoy ice skating. Providing fun for all ages and ability levels, ice skating is just challenging enough yet simple for all ages. It’s one of those “must” things to do near Gore Mountain. Who says fishing can only be enjoyed when the weather’s warm? Winter is the time of year to enjoy ice fishing. If you’ve never tried it out, definitely plan to add it to your agenda of things to do in the winter in North Creek NY. Winter activities in the Adirondacks just cannot be topped. This and much more await you at The Alpine Lodge. Are you ready for an experience that will provide memories to last a lifetime? Contact us at (518) 251-2451 to start planning your adventure into wintry fun! For the ultimate winter getaway in Upstate NY, The Alpine Lodge offers top notch hospitality in a comfortable and affordable lodge in North Creek, NY! For those wanting to hit the slopes, guests will enjoy FREE shuttle rides back and forth to Gore Mountaing just down the street. 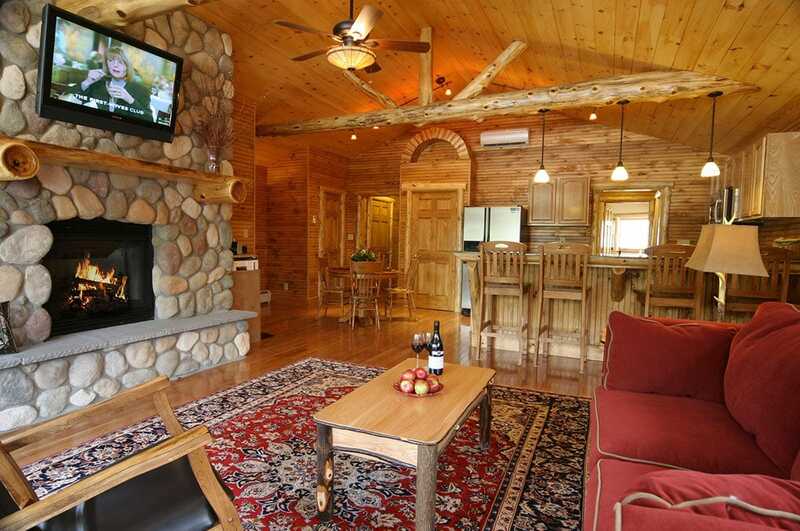 Our Adirondack lodging accommodations offer location, charm and numerous amenities! Our comfortable Adirondack lodge rooms and suites near Gore Mountain, Whiteface Mountain and many great attractions offer countless activities throughout the year for everyone to enjoy. Ready to book your winter getaway and enjoy the breathtaking beauty of this Upstate NY region? Book your stay today!